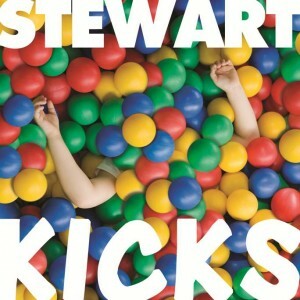 Stewart sounds the way a commercial designed to sell clothes to teenagers sounds. Pictures of quirky kids running around a mall in fast-motion rush through my head when listening to “Dance with Me,” “Consider Me Gone,” and “Aloof.” This girl group doesn’t run exclusively on Veruca Salt rock, but the quiet songs, “Gone” and “Who We Are,” seem out of place. That’s a shame, because they – and a sped-up redo of the latter song – are the best offerings on the album. Clocking at less than a half hour, Kicks has little aim beyond being a party album. While it fulfills that purpose, the undercurrents indicate greater talents than what’s seen on the surface.